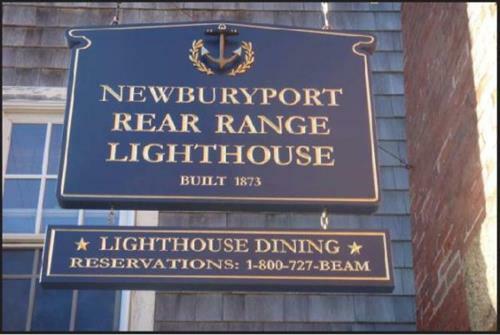 Nonprofit Historic Preservation and winner of the Congressional Presidential Achievement Award for their efforts to save America's Lighthouses. 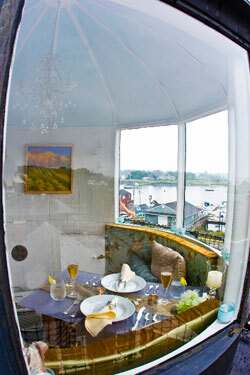 We offer one-of-a-kind romantic dinners at the top of the Newburyport Rear Range Lighthouse on Water Street. 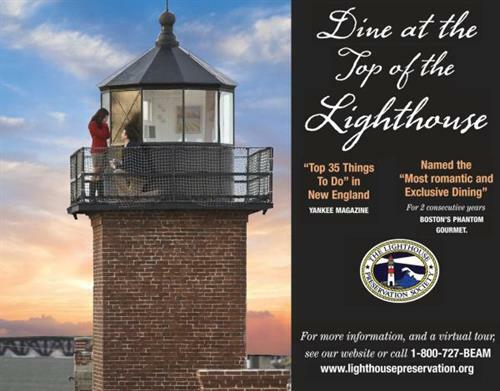 Named ''Top 35 Things to Do'' in New England by Yankee Magazine, and ''Most Romantic and Exclusive Dining'' by the Phantom Gourmet. 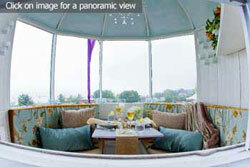 Open year-round seven days a week for breakfast, lunch, and dinner.